SACRAMENTO, Calif. /California Newswire/ — Today, Assemblyman Mike Gatto (D-Los Angeles), the author of ACA 11 (which passed the Assembly by a 61-9 vote on June 2nd), and Governor Jerry Brown announced reaching agreement on extensive reforms to the California Public Utilities Commission, which will vastly improve the way California’s utility regulators serve the public. The reforms, which number in the dozens, will affect everything from the commission’s governance, accountability, transactions, transparency, and oversight. Reforms to the CPUC in recent years had proven elusive; this package represents a significant accord toward remaking and rehabilitating the CPUC. Will increase the CPUC’s focus and expertise by relocating responsibilities and make logistical changes that improve the agency’s ability to function. Assess reassigning telecommunications governance by January 1, 2018. Require CPUC voting meetings to be in held in various regions of the state. Establish cross-agency secondments (for example, with the Division of Oil, Gas, and Geothermal Resources, California Air Resources Board, etc.) to foster coordinated actions and exchange of information, facilitate cultural change. Work with state colleges and universities to develop and offer curricula specific to regulation and oversight of utilities. Authorize the CPUC to hire and locate employees in Los Angeles and Sacramento. Allow a commissioner to issue an Alternate Proposed Decision (APD) at any time (current law limits APDs to the day of the voting meeting). Provide statutory authority to rely on outside reports from state, federal, academic sources. Will enact several reforms making it easier for public and watchdog groups to participate in CPUC proceedings. Authorize the Attorney General to bring an enforcement action in superior court against a decision maker or employee of the commission who violates the ex parte communication requirements. Prohibit former regulated utility executives from serving on Commission for two years. Allow any California agency to participate in CPUC proceedings without official party status. Allow intervenor compensation for substantial contribution, including when a party does not participate in a settlement, lessening the likelihood of intervenor collusion with regulated entities. Enter public comments into the record and develop an e-comment system to make commenting more accessible. Will reform the ex parte and other rules to establish a more ethical environment that is fair to all parties, while providing flexibility for entities to contact their appointed officials. Adjudicatory proceedings: maintain the current prohibition on ex parte communications. Quasi-legislative proceedings: allow commissioners to meet freely, particularly with members of the public, to gain perspective and become more educated on the subject area. Ratemaking proceedings: log and post ex parte communications online promptly. Commissioners will log communications with interested parties. Subject the CPUC to the judicial-review provisions of the California Public Records Act and revisions to the CPUC public records and confidentiality statute (§ 583) to retain confidentiality with a more timely release of public information. Require transcripts to be made publicly available, promptly. Require documents distributed to service lists be docketed. Allow commissioners to deliberate on rate-setting proceedings if no hearing has been held (current law limits commissioner to meet and deliberate only after a hearing has been held). Make administrative record more open in quasi-legislative proceeding by not applying the formal rules of evidence. Bagley-Keene: allow commissioners to discuss administrative and managerial issues. Ensure the CPUC appoints all senior executive staff who report directly to the CPUC, including the Executive Director, the General Counsel, the Internal Auditor and the Chief Administrative Law Judge. Will enact sweeping ethics and other reforms, including on safety issues, which had previously been elusive or are completely unprecedented. Create a centralized Ethics Ombudsperson who any CPUC employee or member of the public can contact at any time with any concern. Responsible for enhanced ethics training for all CPUC staff and commissioners, on everything from gift and travel ethics to ex parte compliance. Codify the creation of the Deputy Director for Safety with plenipotentiary power to “red tag” any unsafe facility, process, or activity. Increase oversight of excavation and improve enforcement of dig-in safety laws to help bolster safety. Require the CPUC to work with Nuclear Regulatory Commission to expedite relocation of spent fuel currently stored at the San Onofre Nuclear Generation Station to an Independent Spent Fuel Storage Installation. 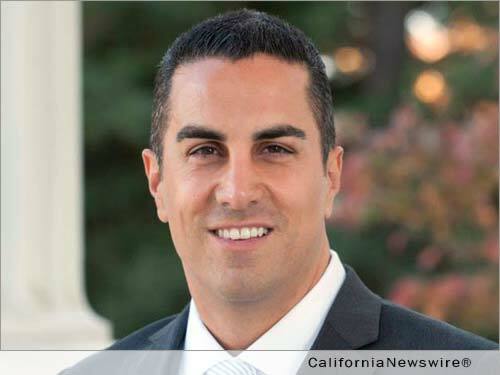 Mike Gatto is the Chairman of the Utilities & Commerce Committee and the longest-serving current member of the State Assembly. He represents California’s 43rd Assembly District, which includes Burbank, Glendale, and Los Angeles.